Now at last, there is a safe and effective way to trap and deal with them – Red Top Fly Catcher. A unique and safe product, Red Top Fly Catcher are the ultimate fly trap. They are low-cost, non-toxic, simple-to-use and chemical-free. 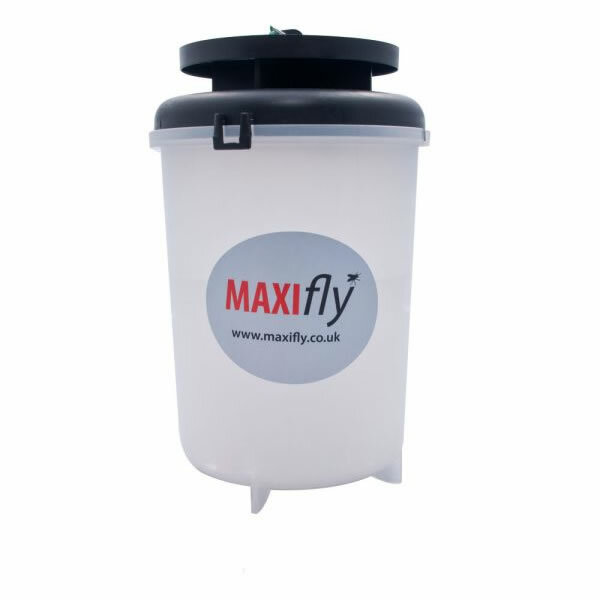 They should be situated a maximum of 15 metres away from your home, farm building or business premises so as to draw the flies away from the premises and into the trap. 1. Remove the Red Top from the dish and unfold the bag. 2. Straighten out the mesh cone and make sure that the hole at its apex is open. 3. Add the bait and one litre of luke warm water (if water is milky, allow to stand for 24 hours before use). 4. Replace the Red Top by clipping the lugs of the Red Top into the small holes in the cover-dish. a. Hang the Fly Catcher outdoors in a suitable position with sufficient sunlight. (Not closer than 5 metres from fly breeding areas i.e. manure heaps, compost heaps, chicken runs etc. b. Not closer than 5 metres from fly breeding areas i.e. manure heaps, compost heaps, chicken runs etc. c. Hang at head height or higher. d. Between the fly breeding area and the living environment. e. For temperate climates, hang in direct sunlight, in semi shade for very hot climates. Slit the bag with a sharp instrument and drain into a compost heap or a hole in a garden bed (dead flies are rich in nutrients and make good compost), or place the trap in an old shopping bag and dispose of into a rubbish bin. Dispose of old traps on rubbish collection day. Bait a new trap 3 to 4 days before disposal of the old one to ensure continuous catching. Top up weekly with water. Water volume should be steadily increased as trap fills. Flies introduce pathogens (disease carrying germs) to the activated trap. Keep out of reach of children, pets and livestock.